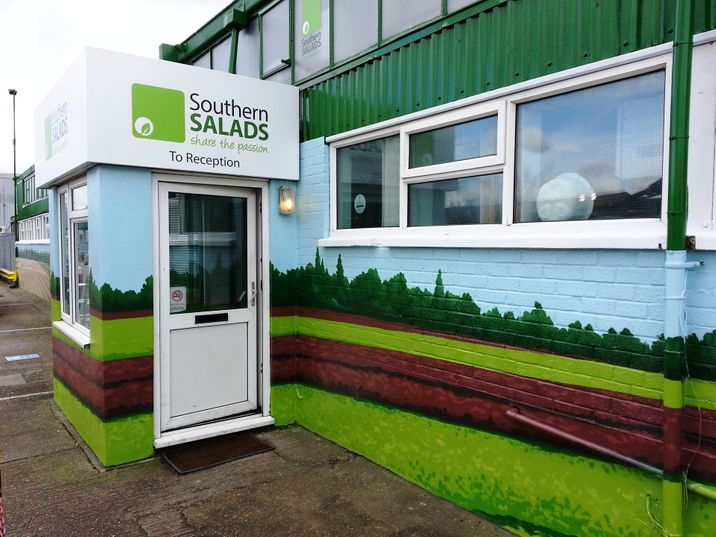 We painted the entire front of this Southern Salads Factory in Tonbridge, including the corrugated metal at the top. We decided to give the mural two perspective points as we felt this would be most effective. The mural shows salad fields with a tractor and blue sky and trees on the horizon. 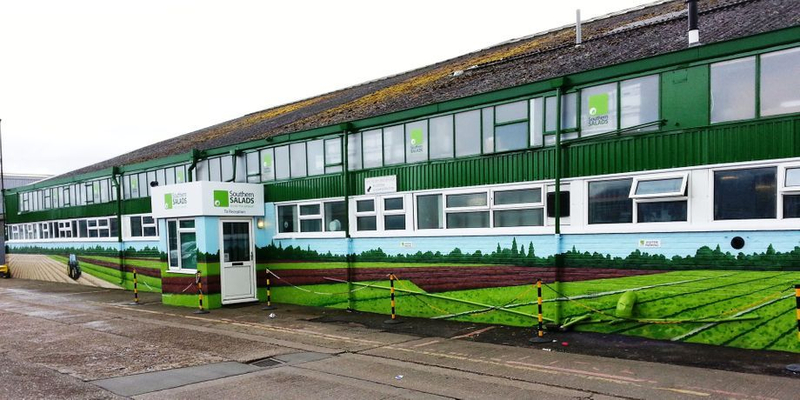 This took us two weeks to complete, including preparation and finishing with anti graffiti varnish.